Governor Jerry Brown recently signed into law Assembly Bill 361 which provides continued funding for two Diablo Canyon Nuclear Power Plant oversight bodies. 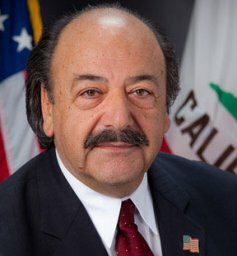 AB 361 was authored by Assemblymember Katcho Achadjian (R-San Luis Obispo) and coauthored by Senators Bill Monning (D-Carmel) and Hannah-Beth Jackson (D-Santa Barbara). The bill received unanimous, bipartisan support in the Legislature and will take effect immediately. AB 361 extends the sunset date to continue funding emergency planning programs for Diablo Canyon Power Plant to 2025. After integrating the language contained in Senator Monning’s Senate Bill 657, the bill also requires the California Public Utilities Commission (CPUC) to continue its independent peer review panel, which conducts an independent review of enhanced seismic studies of the plant, until 2025. Diablo Canyon was set to stop paying into the nuclear planning assessment special account, which helps assure the maintenance of the state’s nuclear emergency programs, in 2019, which is before its current license expires. The independent peer review panel’s contract with the CPUC was also set to expire in 2015, even though it has not completed its review of the studies and findings of Diablo Canyon Power Plant. The panel analyzes seismic surveys and reports, and is slated to be instrumental during ongoing federal re-evaluation of the seismic and flooding risks of the plant and potential plant re-licensure. I love it when I hear about funding for planning. That has been the curse of California, planners here and there rather than doing the costly jobs. The Cuesta Grade is Diablo’s escape route, a corridor riddled with circulation problems, do you think that this planning money will fix that? I say no, just more plans with iffy merit. This wasn’t about keeping a nuke running, it was about collecting money. Funneling money into the pockets of friends of the high party officials. Rob taxpayers again so corrupt democrats can get richer. What??? No Brown bashing on this one? Get a grip, wingnuts.